If you want to be the first on your block, maybe even in your state, to walk around with the CDMA flavored, Verizon branded Samsung GALAXY Nexus in your palm, better start checking your couch for spare change. 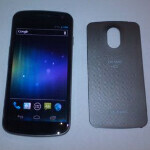 One copy of the Verizon branded, Android 4.0 flavored handset is being offered on eBay for the price of $1,200. Shipping is $30 and the phone will be in your hand sometime between December 13th and 15th. The latest rumor we have on a possible launch date is that the phone will be released by Verizon on December 15th. This is the word from some Verizon tipsters who are saying that store managers have been told to expect the phone this coming Thursday. Of course, other dates that had been bandied about like November 21st and December 8th turned out to be incorrect. Therefore, if you really need the phone now and money is not an issue, you might consider the unit up for sale on eBay. Besides price, you have to also worry about whether or not the seller really has the goods that you are buying. The seller has a 100% rating with 30 positive feedbacks and no negatives over the past 12 months. The listing doesn't explain how the seller was able to obtain the unit, but the Verizon logo on the model's back cover seems to preclude the idea that this is a test unit. Thanks to the law of supply and demand, the seller can charge $1.200 for the phone at this time, but once Verizon announces its official launch date, the price of the Verizon branded Samsung GALAXY Nexus will drop in price sharply. Someone would have to be sooooo desperate to not wait another week or two. Either that or just rich. Or just plain stupid to spend that much on a phone, especially one that will probably be about $200 in 6 months because it'll be forgotten among the newer, higher powered android phones. Too desperate to spend their money on a test phone. didnt some one spend a crazy amount on call of duty mw3 before it released??? like over $1500 so im sure some dummy will buy this if they have money that back cover looks fishy tho is that inside or outside? Who ever spends $1200 for a cell phone needs a psychological evaluation. What about extremely well of people, like sports players or CEOs, who have oodles of money to throw at lavish stuff? "What about sports players and CEOs who have oodles of money?" Well... for starters people like that tend to devote a lot of time, focus, and energy on practicing the trade through which they earn that money... as opposed to lurking on forums and ebay, pining for an unreleased product with a obtuse name like "Ice Cream Sandwich". When not thinking about or doing work, the more social of that group will be networking, playing golf, or filling hot tubs with hot 20-something models. It's far more likely that, if it occurs at all, the person completing this transaction will either be an introverted trust-fund kid with little concept of the effort behind earning a dollar... or a tech-geek with too much money burning a hole in his wallet and little else in life to focus on. Just my hunch. Does anyone remember the guy that spent something like $17,000 on a BlackBerry Javelin (which became the 8900 Curve I think?)? So you're saying I need an evaluation because I put in a bid? Just Kidding. I'd never actually do that, its just a stupid waste of money. What about warranty coverage? If you are not shown as the end purchaser in VZW's sales system, you may be SOL if there is a defect in the unit. My pre-ordered RAZR had a defective LTE radio. A trip to the VZW store, and I was on my way with a replacement. Why someone would drop $1,200 to be first with a G-Nexus is beyond me. I like how the seller states in the description that this phone will not release for another 1-2 months... "THEY ARE HOLDING OFF RELEASING THIS PHONE TIL MID JAN -FEB NEXT YEAR!!!!" Did I forget my /sarcasm tag again? duh. its time to listen to some depressing music. why does verizon hate me? If you're going to spend that much on a phone, might as well get an iPhone. Superior at being a buggy and unstable mess, yeah. Or did you not read PA's recent article about Android lag? Btw, I know the Android fans are going to thumb this down, so go on ahead and prove me right. I think its because of people like you make Android fan's call every iphone users a fool ..
Nexus was delayed due to Google Ice Sandwich software glitches or other problems. Or Verizon just wanted to sell Moto RAZR the first 2 months. While it's true that Verizon never gave a date to release the phone, if this phone isn't released this Thursday, December 15th, I wouldn't hold my breath thinking it will be released before the end of this year! If it's not released by the end of January, I will probably wait for the next big thing! being that desperate is as stupid as claiming "first" on these threads. I'm willing to wait another week or two to save $900... kthx. I wouldn't buy it. You have no idea how he got it. I heard there was a store that had all its phones stolen yesterday. Those phones are all now on the lost/stolen list for sure and cannot be activated.